BERLIN (Sputnik) - Italy wants to work together with Russia on settling the Libyan conflict as stability in the war-torn country needed to deal with the migration crisis, Italian Deputy Foreign Minister Guglielmo Picchi told Sputnik on Monday. "There is an ongoing debate on how to protect the EU southern borders. The plan that proposed Salvini was supported by many countries. He proposed to establish camps. Libya could be one of the countries where we have such camps. We are working hard to stabilize Libya and the Russian role is very important to achieve the stability in the country. We are keen to work with Russia to stabilize Libya. We need stability in the country to establish those camps," Picchi said. Last week, the European Council summit agreed on several aspects of the bloc's migration policy, including the establishment of "regional disembarkation platforms in close cooperation with relevant third countries" and controlled centers in the EU member states. The resettlement or relocation of migrants across the bloc is expected to be done on voluntary basis. Meanwhile, Austria has placed temporary border checks over the informal meeting of EU justice and home affairs ministers in Innsbruck on July 12-13, the Oberösterreichische Nachrichten newspaper reported. "We are looking for possible troublemakers, not specifically for migrants," a police spokesman said as quoted by the newspaper, stressing that the measure had nothing to do with the ongoing migration crisis. The media also said that temporary 5-day border checks would be imposed around September 20 due to the informal meeting of EU heads of state or government in Salzburg. Migration has been the source of internal tensions in the European Union. Under the Dublin Regulation, the state through which an asylum applicant entered the bloc, is usually designated as responsible for processing the application, which means that refugees may be sent back to that state. 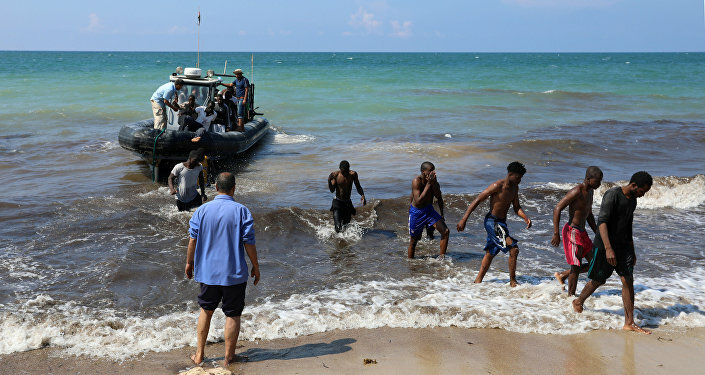 Italy, which often serves as the country of first entry to the bloc for many migrants crossing over the Mediterranean Sea from Africa, has urged other EU members to do more to accommodate thousands of new arrivals.